If like me you find yourself sighing with contentment at the first crisp days of autumn seeing the leaves turn into fiery rusty shades as if passionately burning from within, then you know of the inner exaltation one feels from the intense and clear clarion to action that spices signal. The new Sienna Musk by Sonoma Scent Studio is warm and spicy like you're waking up in a retreat in the mountains on a glorious sunny yet pleasantly cool morning and dynamic as if the world seems full of possibilities: the dies is yet to carpe and the credula postero is extending to far beyond. Recalling the homonymous limonite clay used for producing oil paint pigments, Sienna Musk invites us into an impressionistic painting of luminous yellows and golden browns shot through with the fiery timbre of reddish hues. Sometimes there is indeed a psychological effect in fragrance and it is acting in an Ayuverdic manner: bringing a lift, taking us into a better place, stirring energy levels and gently pushing our bottom out of the door to get things accomplished. Or perhaps it has a special psychoacoustic resonance: you almost hear the spirited energy in certain fragrances and differentiate them by their approaching vibrations. Sienna Musk is just like that. Built to be a warm scent that envelops you in the first crisp days of autumn but also well into winter, it recalls culinary spices in a wooden kitchen table ready for the picking and woods that look radiantly red under the rays of the afternoon sun and fill you with optimism and the indulgunt feeling of savouring every day to the maximum. The perfumer, Laurie Erickson, divulges: "I wanted this fragrance to be a cozy, gently gourmand scent featuring warm spices and woods. I added soft mandarin because it works well with the spices and because mandarin and clementine are my favorite citrus oils. 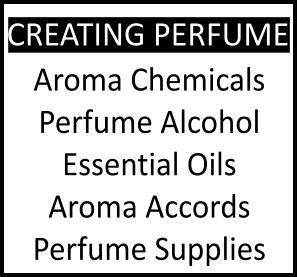 One of my main goals with this type of scent is to achieve the right balance of sweetness, which is difficult because that balance varies greatly from person to person. 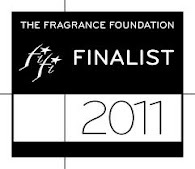 Sienna Musk opens with a burst of sweet spices and mandarin, and then the creamy woods and musks emerge". Although the notes might remind you of her previous Bois Épicés Légère this fragrance is less sweet and has softer woods and more musk, going for a soft-focus effect. The blending of the spice notes is wonderful in that they are clearly identifiable, yet they also fuse into each other, creating harmony. Ginger is not too pronounced and therefore the scent melds on my finicky skin with no sour undertones. Nutmeg, the dried kernel of Myristica fragrancs also included in the new Secret Obsession, is a wonderful spice full of its own timbre; paired with cardamom their unison gives a slight Middle-Eastern flavour to an essentially New World harmony. Mandarin essential oil (just one member of the varied citrus family and their nuanced scents)is a fresh, uplifting top to middle note which perfumers can extend the longevity of by combining it with other carefully selected oils. It works great with spices, as evidenced here: sunning them, making them open up. The backdrop of smoothness provided by a blend of synthesized musks gives a clean, downy-soft feeling that lasts comfortingly very long extending it into carpe noctem. Sienna Musk makes me physically happy and gives me a much needed boost during these frantically busy days and I am putting a bottle of it on my wishlist as we speak. 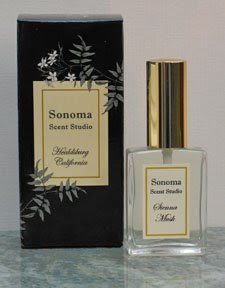 Sonoma Scent Studio Sienna Musk is available in 15ml/0.5oz or 30ml/10z Eau de Parfum (great size options low on the commitment) and samples are also sold online. Notes for Sienna Musk: mandarin, nutmeg, cardamom, ginger, clove, musk, cedar, cypress, sandalwood. Other recent launches from Sonoma Scent Studio include Wood Violet and Vintage Rose and Laurie intimated that she is working to perfect Gardenia Musk before holiday time (Gardenia Musk will be a demure gardenia for those scared of the loud note: a feminine floral musk with jasmine, soft and creamy gardenia, green notes, subtle peach, silky skin musks, and light cedar). 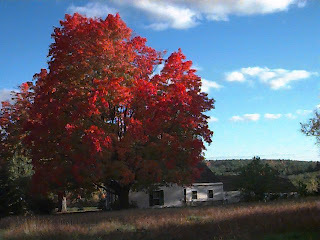 Pic of red tree courtesy of hollis.nh.us, bottle via Sonoma Scent Studio. Helg- this sounds divine- just what I am looking for in a scent right now... thank you for another fab review! Laurie is a remarkably hard-working, receptive woman. She seems eager to tweak and perfect her work, which is a lovely thing. Kisses to you, pretty Hellenic one. trust you to bring attention to the person behind the product. Yes, I should have said that myself. 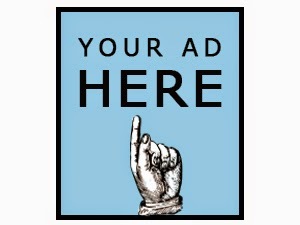 Laurie works hard, is willing to hear opinions and is very kind in providing information. I think you will like the finished product, it's great for this time of year. It grows on you! Oh Helg now you have done it! I really need to get a sample of this. I mean the worst part is I live very near Sonoma and I haven't tried this considering I love spices and Sienna is my favorite place in Italy. Yes, she is and I think you're carrying the line? Hope you get lots of sales then. No, The Posh Peasant isn't carrying the line. You might be thinking of Dawn Spencer Hurwitz? I'd like to carry SSS very much, so hopefully someday soon. Oops, my mistake then. Hope you get to carry the line soon! Seinna is my favorite of all of Laurie's more "musky" scents- definitely full bottle worthy!